Modelled on the industrial design classic of the 1930s Coolicon, our coloured reproduction gives this iconic design a modern twist. 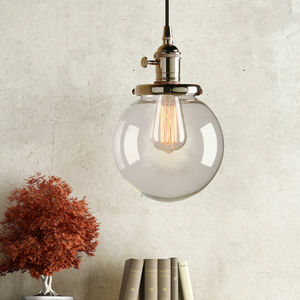 This elegant factory light is perfect for all interiors, including modern, vintage industrial and farmhouse. Included: 1 x powdercoated shade in your colour choice, 1 x B22 bayonet fixture (with cord grip) and your choice of braided flex and ceiling rose. Not included: bulb (B22 bayonet type required) and ceiling screws. 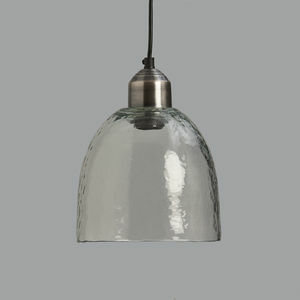 Unfortunately our lights are not IP rated, therefore we cannot recommend them for use in bathrooms. Shade Colour: Choose from Mid Grey, Olive Grey, Dark Grey, Squirrel Grey, Polar Grey, Ivory and Turquoise (images in that order). 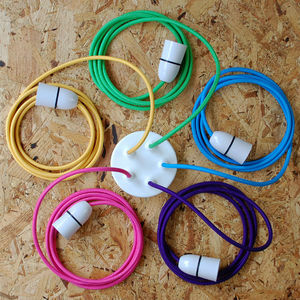 Flex Colour: Choose for your light to be wired with any of our 8 different colour braided cables. Cable Length: Cable can be cut to length during installation but make sure you order enough. 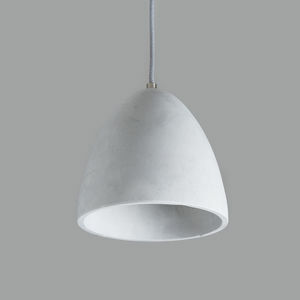 Ceiling Rose: Our ceiling cup is a flat, strapped cup with room to connect your existing wires to your new light. It has a diameter of 10cm and depth of 2cm. It has a nickel finish. Our cap is a nickel plated Besa cap and is designed to work with standard conduit. Its diameter is 7.5cm. Wired? Our lights are easy to wire and instructions are available by request. However, if you would like us to wire your bulb holder then please select "yes" for this option. If you select "no" you will have to wire the bulb holder yourself. Each lamp comes with 1m flex as standard (this can be adjusted during installation). This product is dispatched to you by Artifact Lighting.